Top-seeded Boys’ Latin, winner of the last two MIAA B Conference baseball championships, had its hands full at home on Monday, as it trailed fifth-seeded Severn School, 4-3, entering the bottom of the seventh inning. The Lakers, however, rallied for two runs, with benefit of a base hit, and defeated the Admirals, 5-4, to advance to the winners’ bracket final of the double-elimination tournament. 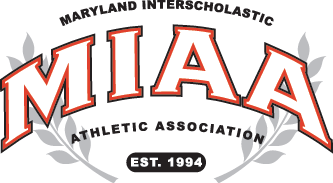 The Lakers (19-5) will face second-seeded Glenelg Country, which rolled to an 8-0 victory over sixth-seeded Gerstell Academy in the other winners’ bracket contest, Monday in Ellicott City. BL and Glenelg Country will battle for the first spot in Sunday’s finals when they clash on Wednesday. Also on Monday, fourth seeded St. Vincent Pallotti traveled to Laurel and defeated third-seeded St. John’s Catholic Prep, eliminating the Vikings from the post-season. Pallotti will return home to Panther Park in Laurel on Tuesday to host Gerstell in another elimination game. The winner of that contest will meet Severn on Wednesday at the home field of the higher seed. Sam Grace started the winning rally for Boys’ Latin with a leadoff walk and Justus Brown followed him with another base on balls. Following a fielder’s choice infield out, Severn’s Ryan Jack walked his third Laker of the inning, putting Travis Smith on to load the bases. The Admirals (10-8) went to the bullpen and brought in Alex Rozner, who promptly walked Jack Fishel to force home the tying run and then hit Jackson Gazen with a pitch to chase home the walk-off game-winning run. Severn’s first two runs of the game also came on bases loaded walks, in the top of the first inning, when Evan Gore and Brett Sweeney both got credit for RBI free passes. Boys’ Latin got a run back in the second on a RBI ground out by Smith, scoring Grace who had singled to open the inning. The Lakers then took a 3-2 lead in the bottom of the fourth on RBI singles by Gazan and Matt Luterman. Severn tied the game up in the fifth when Jimmy Riley’s RBI single to right scored Ty Benz, who singled to start the inning. The Admirals then pushed back in front, in the sixth, on an RBI double by Jordan Mathis. Glenelg Country blanked Gerstell behind a three-hit complete game effort by Tyler Russo, who struck out nine Falcons (10-10). The host Dragons (13-8) scored three times in the first and led 5-0 after three, which was more than enough the way Russo was going. Russo also led the offensive attack with three hits and two RBI’s. Spencer Goldrich added two hits, including a double and an RBI. KJ Irving stroked a three-run double in the third inning, pushing visiting St. Vincent Pallotti (13-11) out to a 4-0 lead and the Panthers rolled from there. Blake McConaty made the start for Pallotti and allowed two runs on six hits, over 6.1 innings, and he struck out four to get the win. Newt Davis, Jenkins, Matt Ferony, Keith Griffin and Myles Johnson all each collected multiple hits for the Panthers. AJ Javitt homered in the fourth for one the SJCP’s runs. The Vikings conclude their season at 12-8.